Continues from the home page. My roommate moved out - am I responsible for the rest of the rent? Yes, you are responsible if you signed the lease or made a verbal agreement. If your roommate also signed the lease or made a verbal agreement, then you may sue your roommate for the rent that you had to pay the landlord on behalf of your roommate. What can I do if the landlord agreed to pay utilities and doesn't? If the utility company cuts off service or threatens to discontinue service to the building, you may pay to reconnect the service and then deduct this amount from your rent. First, you must give the landlord 48 hours' written notice that you are going to pay the utility company. After you pay the utility company and give the landlord a copy of the receipt, you may deduct the amount you paid from the next month's rent. If it is an emergency, you should get an attorney who can help you bring a lawsuit to force your landlord to provide the essential services. You should also be aware that The Cold Weather Rule protects tenants who cannot pay their utiliy bills from having their heat disconnected from October 15 to April 15. Call your local utility company or 1-800-657-3782 if you are concerned about heat. What if my housing is not safe? If you live in Rochester and you believe that your housing is unsafe, call the Rochester Building and Safety Department at 281-6133. If there is a housing code violation, the inspector will order your landlord to make repairs. If the landlord does not make the necessary repairs, you may sue. Do I have to pay rent if my landlord refuses to make repairs? 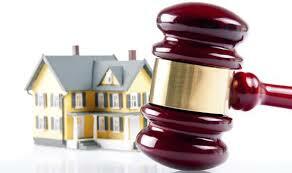 You must continue to pay rent unless you begin a court action against your landlord. Usually such court action requires you to pay your rent into the court instead of to the landlord. Then the judge decides what should happen to the rent money. You must follow very specific steps to bring such an action. It is best to contact an attorney before beginning a rent withholding action to learn all of your legal rights and responsibilities. Who must repair or replace damaged property? If something is broken and you want your landlord to repair it, you must notify your landlord of the problem. You should give your landlord written notice and keep a copy of your letter. If the landlord does not fix the problem, remind the landlord again. If it is still not fixed, you should consider calling the Housing Inspector or an attorney to find out if the landlord can be required to fix the problem. If you have damaged the property, you must repair or replace it, unless your lease says differently. When can I move out? You may move out at the end of your lease. Read your lease carefully to see if advance notice is required and follow the procedure described in your lease. Generally, if you pay rent monthly, you must give the landlord at least one month plus one day notice, unless the lease states otherwise. It is always best to give written notice and keep a copy. Include your new address in this notice so the landlord can send your security deposit to you. If your lease has an automatic renewal clause, the landlord is required to give you a reminder about it. May my landlord evict me? The landlord may evict you if you have broken the terms of your lease. A letter telling you to leave is not enough to evict you, although it may be proper notice to end your lease. In order to evict you, the landlord must go to court. You should receive a Summons for an Eviction Action at least seven days before the hearing date. Go to the hearing or else you will lose by default. At the hearing, you have the right to tell your side of the story and offer defenses as to why the landlord should not win the case. If the judge signs an Order requiring you to move, you must move. You may be ordered to pay court costs and any unpaid rent that you owe. You may ask for up to seven days to move. May the landlord shut off the utilities before the eviction hearing? May the landlord lock me out or change the locks before the eviction hearing? No, such acts are unlawful and a misdemeanor. If the landlord locks you out, changes the locks, or shuts off the utilities, call the police. Can my landlord take my property if I have not paid rent or if I move? The landlord may not take your property. If a landlord has taken your property, you must make a written demand to have the property returned. The landlord must return the property within 24 or 48 hours of this demand, depending on where the property is located. If your property is not returned, you may sue the landlord. If your landlord reasonably believes that you have abandoned the property, the landlord may take your property, store it, and, after 60 days, the landlord may sell the property. The landlord may use part of the sale money to cover the removal, care and storage costs of the property as well as any unpaid rent or money owed because of damage to the rental property. Even then, the landlord must make reasonable efforts to give you 14 days notice prior to the sale. How do I get my security deposit back? You must give your landlord your new address in writing when you move. The landlord must mail the deposit to your new address within 21 days from the end of your tenancy. The landlord is also required to give you 3% interest on the deposit. The landlord may withhold all or part of the deposit to pay back rent or other money owed for expenses, such as damages beyond normal wear, but must send a written a statement within the 21-day period explaining why any money is withheld. 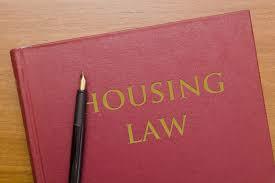 If the landlord fails to send your deposit or a written statement, you may sue. How do I get a property tax refund? Some renters, based on their income, are entitled to a property tax refund. Landlords are required to give each tenant a Certificate of Rent Paid (CRP) by January 31st of each year. You should receive one from each landlord you have rented from throughout the year. If a landlord refuses to give you a CRP, call Property Tax Refund Assistance at 1-800-652-9094. Office staff will gather information from you and send you a Rent Paid Affidavit in place of a CRP. Then fill out and file the Minnesota Property Tax Refund M-1PR form. The completed form must be received by August 15th of each year at the address indicated on the form.